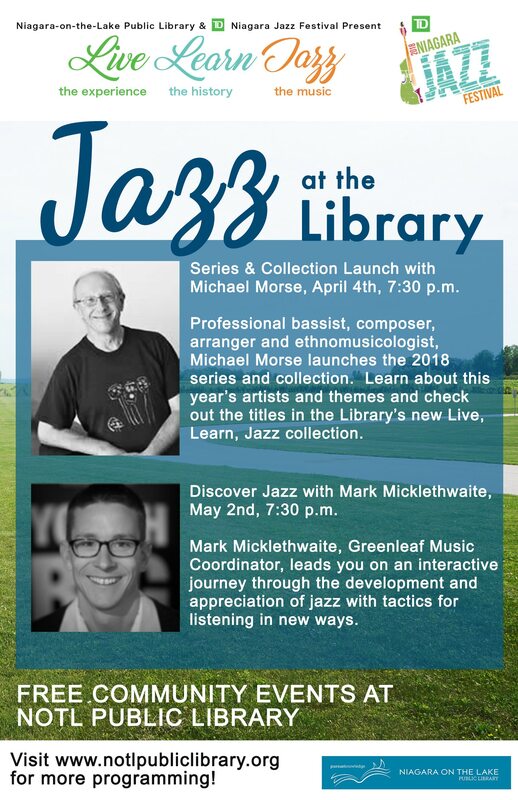 Mark Micklethwaite, Greenleaf Music Coordinator, leads you on an interactive journey through the development and appreciation of jazz with tactics for listening in new ways. * The LIVE LEARN JAZZ series was developed in 2015 by the TD NJF as an initiative to teach patrons about the art form of jazz in a fun Niagara environment. The series continues this year with a diverse selection of carefully selected talented jazz artists performing at various venues (wineries and breweries) throughout the Niagara Region. CLICK HERE for Mark’s biography.